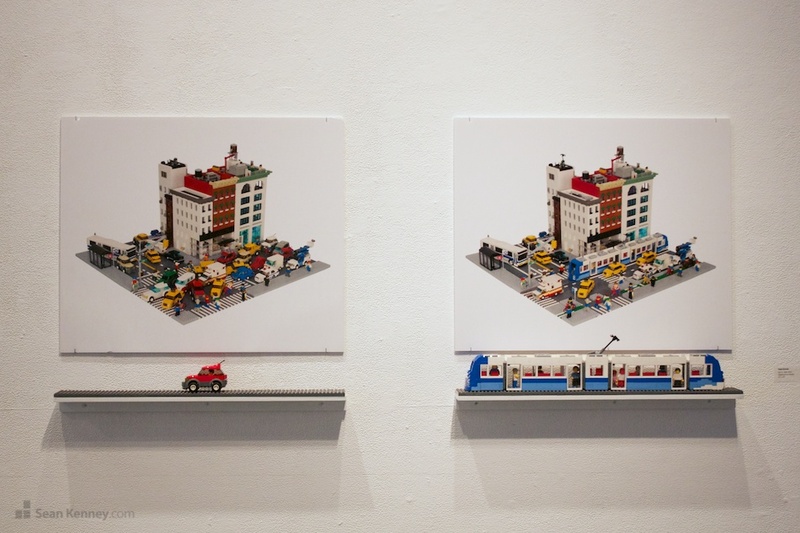 Sean Kenney - Art with LEGO bricks : Who will fix the traffic jam? Oh no, who will fix the traffic jam? This piece is part of my art show, Piece by Piece, which premiered in New York City in March 2013. The two prints are photos of the same intersection, before and after street improvements are made. A light rail, bike lane, and narrower crossings all reduce congestion and dramatically increase safety for cyclists and pedestrians. You can see this and more in my children's book Cool City.